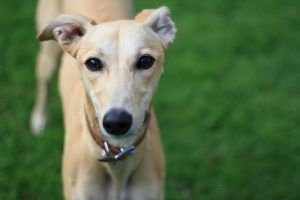 The Trendy Whippet was started by Chloe after falling in love with Sighthounds. We got Ren the Blue Whippet as a puppy and she quickly became the most important thing in our lives. Especially when it came to wrapping her up in the Winter. This is what inspired me to start The Trendy Whippet, with Ren being the main model. I wanted to create a one-stop shop for Sighthound essentials while keeping the business small and personal. Since then, we have broadened out to supply all kinds of Clothing and Accessories for Sighthounds and their owners, from knitted hats to humans Whippet Christmas jumpers. 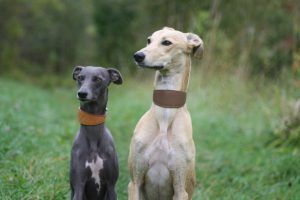 We are a small business based in South West England supplying Coats, Jumpers, Harnesses, Collars and more that are specifically designed for Whippets, Lurchers, Greyhounds, Italian Greyhounds and other sighthounds. We ship to the U.K, Europe and Internationally. Items will be shipped within 1-2 business days after payment has been received via Royal Mail Tracked. *U.K – £3.99 *Europe – £9.99 *International – £12.99 Shipping charges are displayed at the checkout stage. Order confirmation will be sent to your email address reconfirming your order, charges & any other relevant information. This email is to confirm we have received your order. Returns accepted within 14 days in the condition you received, If it is used it will not be accepted. Items need to be in a resellable condition. 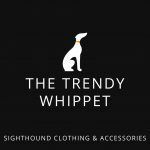 Please contact info@thetrendywhippet.co.uk for exchange information. Exchanges for a different size will be accepted with return postage. Buyer pays return postage. Please add your name and address in the parcel so your replacement can be exchanged and posted. Please see measuring guide before making your purchase.